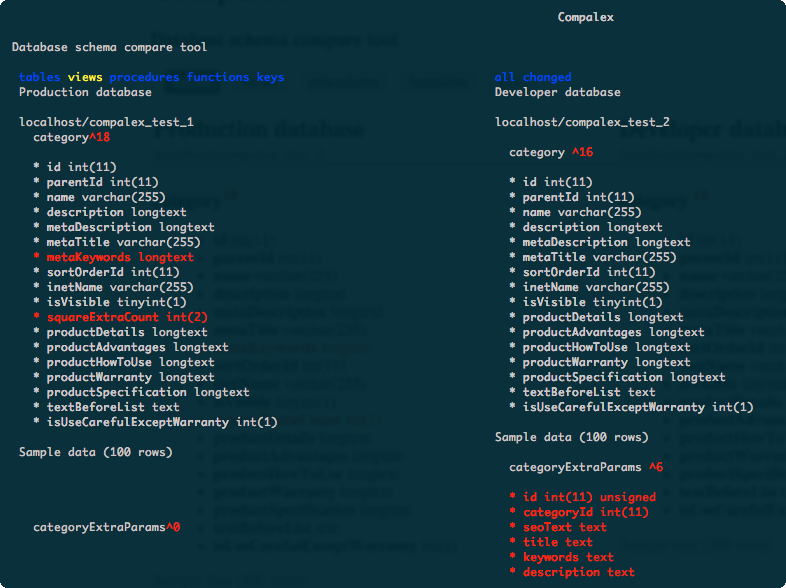 Compalex is a lightweight script to compare two databases. 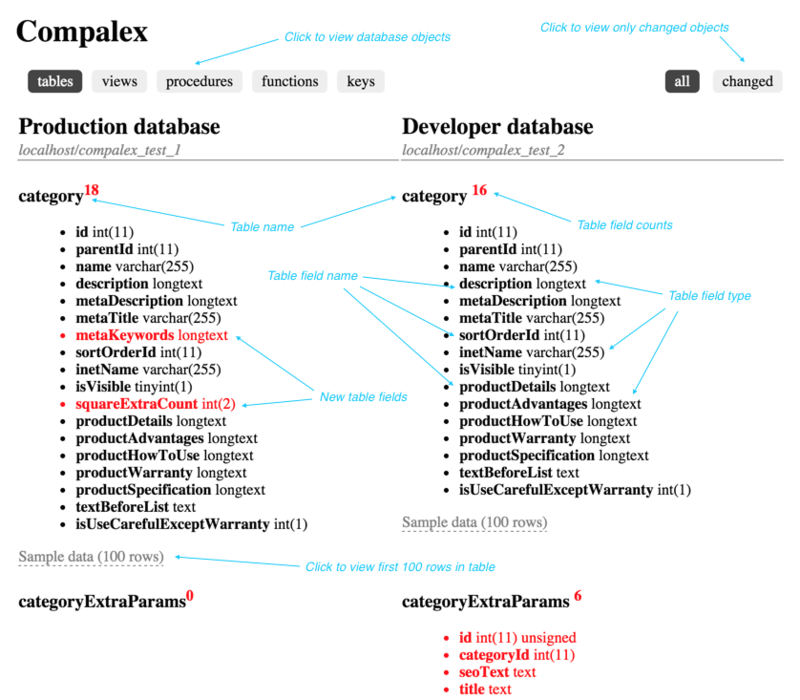 Compalex is a lightweight script to compare two database schemas. It supports MySQL, MS SQL Server and PostgreSQL. 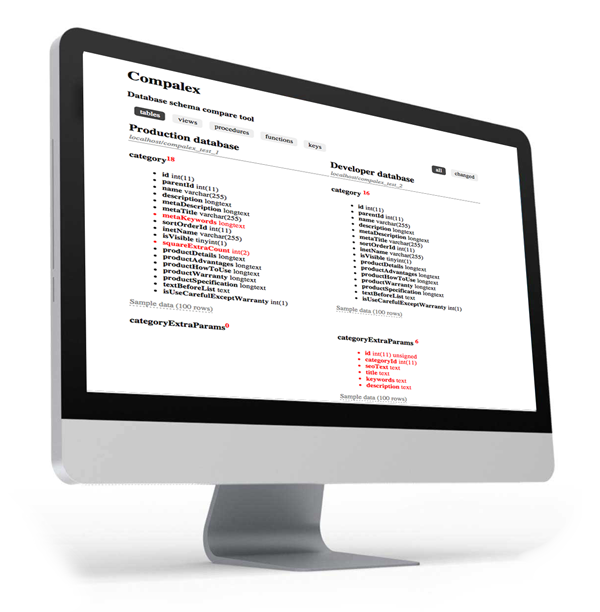 Compalex is only supported by PHP 5.4 and up with PDO extension. or you can download latest version here. ; Possible DATABASE_DRIVER: 'mysql', 'pgsql', 'dblib'. [ Primary connection params ] and [ Secondary connection params ]sections describes settings for first and second databases. DATABASE_DESCRIPTION and DATABASE_DESCRIPTION_SECONDARY - server description (not necessary). For information only. These names will display as a database name. You'll see database schema of two compared databases. You can run this script in terminal (for example, if you don't have direct connection to database). I recommend eLinks (free text-based console web browser) because it supports HTML-formatting and colors. Install the script and run web-server as described above on your server.